Her palace shimmered with gold but was richer still in political and sexual intrigue. Cleopatra, the wealthiest ruler of her time and one of the most powerful women in history, was a canny political strategist, a brilliant manager, a tough negotiator, and the most manipulative of lovers. Although her life spanned fewer than forty years, it reshaped the contours of the ancient world. At only 18 years old, Cleopatra was already one of history's most remarkable figures: the Queen of Egypt. A lethal political struggle with her brother marked her early adulthood and set the tone for the rest of her life; a relationship with Julius Caesar, forged while under siege in her palace, launched her into a deadly mix of romance and strategy; a pleasure cruise down the Nile followed, a child, and a trip to Rome, which ended in Cleopatra's flight. After Caesar's brutal murder, she began a nine-year affair with Mark Antony, with whom she had three more children. Antony and Cleopatra's alliance and attempt to forge a new empire spelled both their ends. The subject of gossip and legend, veneration and speculation in her lifetime, Cleopatra fascinated the world right up to her death. In the 2000 years since, myths about the last Queen of Egypt have been fueled by Shakespeare, Dryden, and Shaw, who put words in her mouth, and by Michelangelo, Delacroix, and Elizabeth Taylor, who put a face to her name. 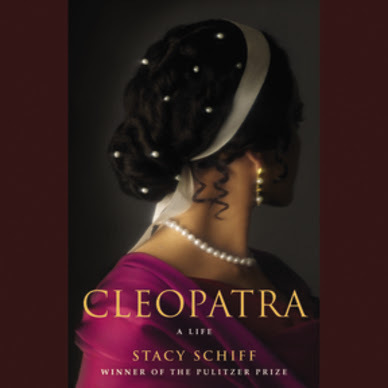 In Cleopatra, Pulitzer prize-winning biographer Stacy Schiff accomplishes a feat that has eluded artists and writers for centuries: capturing fully the operatic life of an exceptionally seductive and powerful woman, whose death ushered in a new world order. "The most compelling biography of the year." "Captivating....far more complex and compelling than any fictional creation." +1 MORE ENTRY: GO TO STACY SCHIFF'S WEBSITE HERE AND COMMENT ON SOMETHING INTERESTING YOU FIND AT HER SITE. 6 PM, EST, DECEMBER 29! The wealthiest ruler of her time and one of the most powerful women in history during a time that men controlled the world is fascinating to me. I think it is interesting that she was so powerful, and able to keep it going as long as she did. I entered don't sing at the table. I entered the gingerbread cookie murder. I entered the new thanksgiving table. I wanted the trailer and I love that she wants to make the ancient world come alive. I think that is so facinating. It is easy to see that Cleopatria was an unusual woman at the time that she lived. So many people, including Shakespeare have written about her and there have been many movies and books about her. It is difficult to know what is true and what is fiction about this woman. I would love to read more about this fascinating woman. I follow this blog with Google Friend Connect. I follow this blog with Networked Blogs on Facebook. I follow this blog with Facebook. I follow this blog with Twitter. http://bookinwithbingo.blogspot.com/? See this link for an audio giveaway of 'Cleopatria'. Antoine de Saint-Exupéry. He wrote 'The Little Prince'. We read that little book in French Literature and I loved it so much that I can remember passages from it! (That is saying a lot for my memory). I would love to find out about that author. 'Don't Sing At The Table. I entered the contest for 'The Neighbors Are Watching'. I entered the contest for the Debbie Maacomber 3 Holiday Book Set'. 'Dear Mrs. Kennedy' book set. I entered the contest for'The Purrfect Murder'. I am so intrigued by Cleopatra. I read Cleopatra's Daughter and would love to read about her. I find her brilliant and fascinating. I found out that: Schiff has received fellowships from the Guggenheim Foundation and the National Endowment for the Humanities and was a Director’s Fellow at the Cullman Center for Scholars and Writers at the New York Public Library. I love audios, enjoy bios, and am always up for the real story about powerful women. Please enter me. I've never read Stacy Schiff before and did not realize how many interesting books she'd written. I'm definitely going to check her out. I've read a couple of good historical fiction accounts of Cleopatra's life but never a biography. I would love to read more about the time of her rule and how she ruled. Sounds like a fantastic book! I would love to know what has made Cleopatra such a fascinating and enduring historical figure--across centuries and cultures! Cleopatra was one of my favorite movies when I was younger, with Elizabeth Taylor & Richard Burton. I only remember the glamorous part of the movie and now would love to listen to a book telling of the many dimenions of the great Cleopatra. As the video said, it would be nice to bring that time period to life again. I would love to win this audio book. I entered 'The original Christmas Classics' giveaway. I also, entered 'Dear Mrs. Kennedy' giveaway. I am intereste in reading this book as I have always been fascinated by Cleopatra and want to understand more how she became so powerful. I have seen this on several gift idea lists, it looks really good! Thanks for the info and chance to win. I think it's great Stacy has a link to buy signed books at her site--especially this time of year, that can make a gift special. I entered the Sedaris giveaway. I entered the Christmas DVD giveaway. I entered the Dessen giveaway. I entered Dear Mrs. Kennedy. I entered the very Merry Cookie giveaway. I entered The Neighbors are Watching. I entered the Emperor's Tomb. I entered Stronger Than sin. I entered the Gingerbread Cookie giveaway. I entered the Swan Thieves. I would want to read this book because she seems SO interesting! It sounds like her life has everything--power, drama, intrigue! I also love reading books about peoples lives! I follow your blog via the Bookin with Bingo facebook page. I GFC follower of your blog! I visited Stacy Schiff's website and I think it is so cool that she won the Pulitzer prize and another that was a Pulitzer Prize finalist! I entered the Very Merry Cookie Party giveaway! I entered the Don't Sing at the Table giveaway! I entered the Perfection giveaway! I entered the Gingerbread Cookie Murder giveaway! I entered the New Thanksgiving Table giveaway! I entered The Swan Thieves giveaway! I entered the Christmas at Harrington's giveaway! I entered the Original Christmas 7 DVDs set giveaway! I enetered the 3 Steig Larsson books giveaway! I entered the Sarah Dessen 3 book giveaway! I entered the Emperor's Tomb giveaway! I entered the Cross Fire giveaway! I entered the By Nightfall giveaway! I entered The Heroine's Bookshelf giveaway! I entered the Debbie Macomber Holiday 3 book set! I would like to read this book because I like reading historical fiction. The author sounds like she knows her history. She won the Pulizer Prize. I am entered in Crossfire, by James Patterson. I am entered in By Nightfall, by Michael Cunningham. I would love to win this because I think Cleopatra, along with Marie Antoinette, is one of the most fascinating women in history. I thought I knew a bit about Cleopatra, but it seems like I don't know much of the truth, just what is portrayed in movies! I learned that Stacy won a 2006 Academy Award in Literature! I just discovered audiobooks with 'Her Fearful Symmetry' which I checked out for my bookclub because no print copies were available - and loved it! I learned the author is multi talented, and how! I haven't been here in awhile and will go right now to see what other amazing contest to enter! I would like to win this audio book because I have always been a history buff and Cleopatra is one of those historical characters that seems so decadant and full of splendor so to speak. 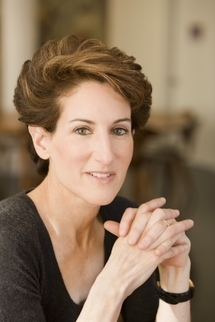 I found it interesting from the authors website that she has won a Pulitzer prize and been a finalist more than once. I entered for Christmas book bundles. I want to read this biography by a well known author who has been successful writing other biographies. Cleopatra was a strong, powerful woman. I think this author will help sort out the tv/movie version of Cleopatra and what really happened throughout her reign. I entered the Heroine's Bookshelf giveaway; that book definetly sounds intriguing. ..sounds like one I will have to share with a niece. "Cross Fingers" for Cross Fire. Emperor's Tomb is on my list of entered giveaways. What would be 3rd in that bundle? I'm starting to feel "squirrely" from entering contests today but I have to say David Sedaris's take on life is intriguing so I entered the giveaway for "Squirrel Seeks Chipmunk"
Do you realize that you have the best book giveaways?!!! I've heard great things about this book and I would love to listen to it. I have always been fascinated by ancient Egypt, and would love to hear a new take on Cleopatra's tale. I would love to win this because I love historical fiction AND audiobooks! I'm also a follower through Google Friends. I love Cleopatra's story and read everything I can about her. Schiff wrote about Franklin and France. I am very interested in the time period and Cleopatra is an interesting subject!